As written and demonstrated in all prior MOTS articles, stories of the Bible consist of Hebrew lives orchestrated by God- Elohim YHVH- to foreshadow and witness to Messiah and His faithful Jerusalem citizenry (a.k.a. the “Bride of Christ”). There is not a story in the Bible that does not have a unique, prophetic part in the LORD’s panoramic picture of human redemption. Therefore, let the reader keep this truth in mind as we journey through the life story of a Gentile woman named Ruth; Christ came teaching in parables so that the believer might mature in spiritual things to learn to discern the parables of old and even certain dreams and visions, sewn by the Holy Spirit, for our own enlightenment and instructions. In the above passage we find God setting up His prophetic parallels with some of the names of those involved in the story along with where they were from. The first thing that should come to our mind is that it concerns the small town of Bethlehem, Judea, the place where Yeshua (Jesus) was born. Second to note, the book is named after Ruth, which means beautiful, and in the story she personifies the unveiled Bride of Christ. The father in the story is Elimelech, which means My Elohim (God) is King, and he represents God the Father, as the Old Testament’s true King of Israel. Naomi, his wife, means my delight, and she represents the Old Covenant people of Israel, as a national wife in whom God delighted. Their two sons were Mahlon, meaning pained or sick, and Chilion, meaning basically the same thing: wasting or pining away in illness. Hence, both sons foreshadow Christ at His first coming, and Christ is presented as two sons in the parable because the story of Ruth is about Christ making a covenant with (1) people who remain faithful until the end and (2) people who fall away during trying times. Most Christians do not think of Christ appearing as a sickly person, but we know from the four Gospels that He was constantly surrounded by needy, sick, and impaired people who sought His healing. In Old Testament thinking, a man could not remove the burden placed upon another by God unless he carried it himself or, as a Levite priest, performed an acceptable sacrifice to God. 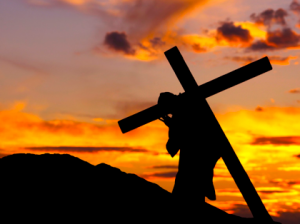 Hence, we often affirm that Christ carried our infirmities at the cross, once and for all for all who hear and believe, even as Isaiah concludes His suffering with the likeness of a lamb to the slaughter. Of course, this does not imply that everyone who believes in their lifetime will be miraculously healed of all their ills, for even in illness and troubles there are higher, eternal purposes with God. Indeed, some of the meekest and purest souls are those who have suffered the most in life, and they pay a high price to serve as the shadows of Christ’s suffering, with glory revealed in Heaven and to come in the world of tomorrow. What it does mean- if you will believe- is that in the fullness of time all infirmities will become a thing of the past for the faithful children of God. Getting back to the story of a Hebrew family that Ruth married into, the stage is set for Christ to carry the sorrows of the world- to die carrying our sins for the future redemption of humanity, to offer eternal life. Yeshua was born in Bethlehem as the Son of the Great King, God of Israel, but the story of Ruth moves us beyond Bethlehem to Gentile lands. Israel suffered a spiritual famine at the time of Christ’s ministry, and God promised through the prophets to send a famine in the land at the time of the cross. Hence, the harvest of souls had to move beyond the land of the Hebrews to cover the entire world. Like the father and his family leaving Israel for the land of the Gentiles, God left Israel during the 1st century of the Common Era, and Jews were scattered into Gentile lands in what is today known as the Diaspora. Early Jewish Christianity, likewise, left Israel to preach the Gospel (i.e., Good News) to the world. God explained to Israel through the prophets that the people would become as a widow rather than a national wife to Him. (See article on Elijah and the widow for all scriptural references and explanation on this assertion.) In other words, God would be dead to His people until, at the end of the age, they began to acknowledge their offence and seek His face (see Hos. 5:14-15; 6:1-3). There would be no more great prophets seeking to correct them, no more inspired books of the Spirit, and the people would suffer under Gentile nations until the appointed time to call them back home to Israel. They could remember God and pray to Him, just as a widow remembers her husband, but the blessings of the Promised Land and Temple of God could only be remembered until the time of desolations was complete. And, in waiting for such a time, Jews would say every year, “Next year, in the land of Israel,” longing for their return to God and His Holy Land. God’s promise to bring the people of Israel back to their homeland is the pinnacle message of the Book of Ruth. The small book, save the paragraph above, skips over the family’s ten years in Moab- a land meaning of His Father, for the focus of the book is returning home and restoration. It is a story of redemption and love at the end of the age, both for the faithful believers among Jews and Gentiles. It foreshadows the national wife (as Naomi) returning home with the faithful among Gentiles (Ruth) who have a covenant with the Son. It is also about a choice that we Christians have: Do we return to the Hebrew roots of our faith and Holy Land of our covenant King? Or do we forsake the faith when the harvest time comes and we must decide, choosing to remain in Gentile nations? As I have written about in previous articles, the Feast of Ingathering (fruits of harvest, Sukkot) awaits prophetic fulfillment. Often we hear of current and historical animosity between Jews and Christians, but there is also the rarely told story of Christians who have acknowledged and honored our roots and for centuries welcomed Jews in Christian nations. Indeed, true Christians must honor the Hebrew roots of our faith, and millions of true Christians celebrated the return of Jews to Israel. In fact, Christians who know the prophecies have been among the strongest supporters of Israel since 1917, when the British Christian mystic, James Balfour, issued his famous proclamation for Jews to return to the Holy Land. In the story of Ruth, we do not see Christians of Replacement Theology and those who despise the Jewish people, and we do not see secular Jews of the West who hate the nation of Israel and justify Muslim Palestinian terrorism. Instead, we find faithful Jews and Gentiles who act as a family in the covenants given to them by God. The story of Ruth is inspirational and positive in its narrative, for it depicts the Israelite return to the Holy Land and the coming of Messiah like a Husband to reign righteously during the Great Sabbath with His covenant citizens. Having written that, there is also an undertone of pessimism in the plight of Naomi, before she and her daughter-in-law receive joy and security in Israel. Her frustration of being too old to have a husband or another son alludes to many Israelites who- through long centuries of persecution and hardships- have lost faith in God the Father and the coming of the King Messiah. We see this often in the just-leave-us-alone attitude of many exclusionary Jews- often by those who do not believe in their own ancient faith yet bitterly reject fellowship offered from Christians: Return to your own gods and your own house of worship. Be blessed and go away. Is anything impossible with God? Is it too late for Israel to return to their covenant with God as a Husband? Is it too late to have a holy kingdom and fulfill the prophecies? Have too many centuries passed in waiting for the fulfillment of greater things, with only losses and troubles to count? Can dead bones be raised with new flesh, and can two sticks be joined as one once again? Sarah laughed in her old age at the Divine pronouncement of Isaac, and the prominent woman of Israel did not believe she could receive at the words of Elisha, but Elizabeth prayed and John the Baptist came. Manoah’s wife was barren, but the Messenger of YHVH came and said to his wife, “Behold, now you are barren and bare not, but you shall conceive and bare a son.” With our own mortal reasoning, some things appear impossible, but, as Christ said, “With God nothing shall be impossible.” The Lord will fulfill every word of His ancient promises, and the land of Israel will again be married in a holy covenant of peace and righteousness with God. In Ruth we find the proper love of Christianity towards the nation of our promises and the people of our covenant, for, as Christ said, “Salvation is of the Jews.” If we forsake the people of God, we forsake Christ, even as Judas Iscariot gave Him a kiss on the cheek, departed, and forsook his brethren. Cursed are those who curse the people of God’s promise, and blessed are those who bless them- not for their sake but for His, for His works and Word. It matters not if Jews push Christians away, as Naomi did Ruth, for we have the same God and the same promises, and we are commanded to be one flock awaiting one Kingdom under Messiah. If we will not fight and die for the salvation of the Jewish people, we should not expect a Jew to die for our salvation on the cross. As we close out the first chapter of the Book of Ruth, we find the Israelite woman Naomi seeking to push her Gentile daughter-in-law away and back to her own people and pagan beliefs, for Naomi’s son- Ruth’s husband- had died. Naomi, in the process of events, had grown bitter, feeling cursed by her Elohim YHVH, and she did not believe that she, in her old age, could provide her daughter-in-law a new husband. From this series of events, I, the scribe, postulated that it correlates to Israelites returning to the Holy Land after their long Diaspora in Gentile lands, even as Naomi returned after she and her family left Israel to dwell in Moab, which was during a time of national famine. I compared the widow woman to a nation that has largely grown bitter to messianic promises and expectations of a holy kingdom. Further, I asserted that the Gentile Ruth foreshadowed Gentile believers called into the family of God- i.e., having a covenant with a Bridegroom who was stricken for the sins of His people. Again, what we discern in the story of Ruth is that Naomi is a type of the Jewish people, who, when returning to their national homeland, sought to separate themselves from Christian believers. This left Christians with two choices: (1) They could abandon the Jewish people and embrace their pagan, Greek roots in the land of Gentiles, or (2) they could persist in remaining part of the national family of God, even after such a long time since the sacrifice of Christ, awaiting the Messianic Kingdom at Jerusalem. As we shall see in closing the first chapter, Naomi could not stop her Gentile daughter-in-law from venturing with her to the Promised Land, but she could shut down communication. Hence, the prophetic similitude shows that it is oftentimes left up to Christians to continue familial ties with the Jewish people of our Hebraic roots, when, in fact, many Jews are still strongly opposed to fellowship and sharing the ancient faith. Consider that Ruth had heard that the Lord YHVH had “visited His people,” just as prophets foretold of this through the coming of Messiah, and we find it fulfilled in the New Testament (see Luke 1:78). Hence, Naomi returned to Bethlehem, the birthplace of Christ, despite the fact that she said that the LORD has “testified” against her. This testimony suggests the New Testament and pronouncements against Judea/Jerusalem during the ministry of Christ. For readers who read my article on Elisha and the prominent woman of Israel- the one who lost her promised son and blamed the prophet- I explained that she grew bitter as she rushed out to accuse him of lying to her. With Naomi we find the rest of the parallel story: that many Jews have been embittered over their own troubles during their Diaspora, especially concerning their great losses of life in the Holocaust. Indeed, hundreds of thousands of Jews in WWII lost everything that they owned in escaping Germany, Poland, and other nations under NAZI control. Millions of their family members and friends were killed. Naomi’s bitterness is also suggestive of a Jewish awakening or realization to Yeshua as the Suffering Servant Messiah. Again, note that Naomi confessed her bitterness and asserted a Divine curse upon her at her return to Bethlehem- the birthplace of Christ. While it is true that many Jews bitterly blame Jesus and Christianity for many tribulations that they, collectively, have suffered over centuries in Christian nations, which is indeed not without merit, revisiting the little town of Bethlehem also allows for an interpretation of Jews revisiting the life of Christ and acknowledging a national offense against God. Of course, Romans actually killed Christ, not Jews, but there was an assertive effort for the crucifixion on behalf of some Jews by renegade religious leaders. If we compare above passages with the below passage, we find that Jews returning after the Diaspora are still brought back to the birth, life, and crucifixion of Christ, as something that God demands acknowledgment of- not that Jews are responsible for what God had already determined as His acceptable sacrifice and means of redemption, but that they acknowledge that Yeshua is the Messiah of the prophets and that His works were wrought in God. Naomi’s return was a famous event just as Jews returning to the Promised Land after being gone so long, even almost nineteen centuries. It stirred both friends and foes in the land of Israel and around the world. And like Naomi returning “empty” to Bethlehem, many Jews returned with only the clothes on their backs after WWII; there was too much bitterness for it to be a truly delightful event for many survivors. And I speak of many, not all, for there was also a lot of joy of reunion at the birth of the nation, even during troubling times. As for Naomi, it again seems more like a confession, for she exclaimed that Elohim YHVH had “testified against” her. And what testimony is there against the Jewish people, that they should consider in bitterness, except the Word of God- specifically that of the New Testament of Jesus Christ? And what was Ruth’s testimony other than she had lost her husband and sons? Hence, the story is from the panoramic view of God and how He sees the Jewish return. In Hebrew it also translates that Ruth was “the one returning from the fields of Moab,” as someone personally expected, and this begs a question: ‘How is it that Ruth, a Gentile of Moab, returned to the Holy Land?’ In order to return, she must have first been in the Holy Land before. In other words, this is a prophetic clue that Ruth symbolizes Christians of the ten lost tribes of Israel as well as Gentiles newly brought into the Hebrew faith- those who have lost their identity among the nations but are scripturally promised to return (NB: The House of David consists of the entire, undivided Kingdom under Messiah). As for their returning at the beginning of the barley harvest, it depicts the spiritual harvesting of God- reaping wheat for His coming Kingdom. The beginning, or the head, of the barley harvest is the Omer Wave Offering, followed by the Feast of Firstfruits, and these depict the waving of Christ’s sacrifice before God and the first believers in Christ. 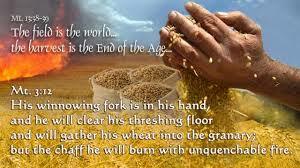 Barley, the least in human value among the harvested produce of the season, is the greatest in value to God. The Feast of Ingathering is when the latter fruits of harvest are brought in with the remaining former fruits. What this indicates is that the return of the Jewish people is like the beginning of the end-of-the-age gathering of God for the everlasting dominion of Messiah. I have now covered- line-upon-line– the 22 prophetic verses in the first chapter of the Book of Ruth. The first chapter offers a summary of the whole Word of God- His panoramic plan for the Kingdom. In the next article on Ruth, we will take a closer, prophetic look at her marriage during a harvest that symbolizes the coming Feast of Ingathering.